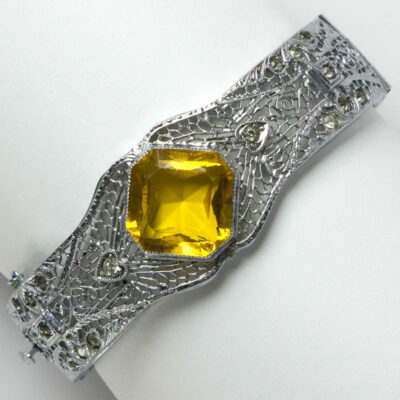 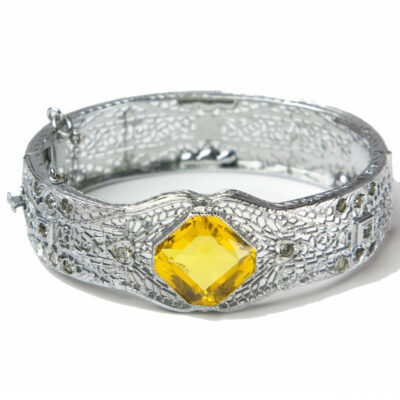 Outside: 2 1/2" diameter by 5/8" wide (7/8" wide at center); inside circumference: 6 3/8"
This silver filigree bangle with intricately-pierced metal has a beautifully faceted, cushion-cut citrine-glass stone as its centerpiece. 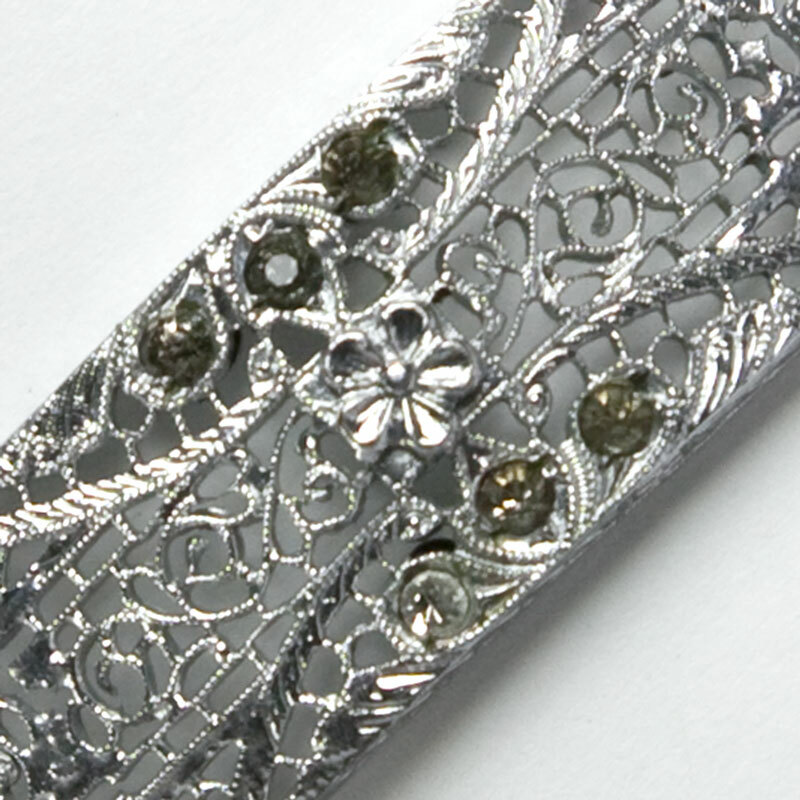 Wholesale jewelry catalogs of the 1920s described the finish on these bracelets as “permanent white” (i.e., they were designed to not tarnish). 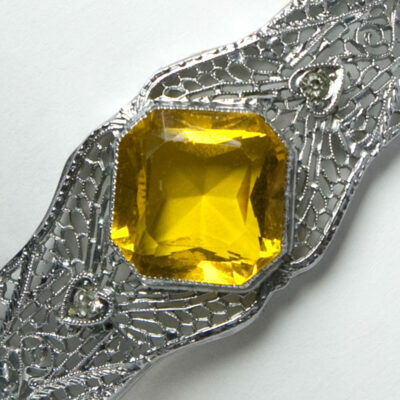 In fact, the piece is probably plated with chromium. This hinged bracelet has diamanté accents. 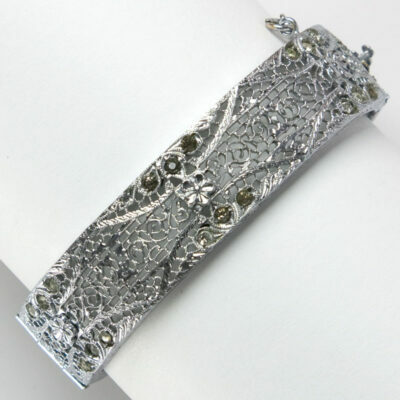 Although most have darkened, their condition does not detract from the beauty of this bracelet. This jewel closes with a concealed clasp and safety chain. A dainty, elegant, and well-made addition to any jewelry wardrobe. This bracelet was made for a slim wrist. 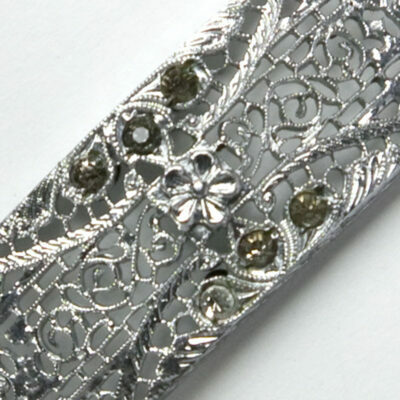 Please note the bracelet length (6 3/8″) and check your wrist size before purchasing this piece.